The popular family travel sites TravelingMom.com (created by Kim Orlando), TakingTheKids.com (created by Eileen Ogintz) and FamilyTravelForum.com (created by Kyle McCarthy) present 52 Holiday Light Delights — a Holiday E-Zine filled with suggestions for catching the Holiday Spirit and seeing some of the best Christmas light displays in the country. Holiday festivals are bigger, better, and starting earlier than ever — by Thanksgiving weekend in many places. And you don’t only need to be in big cities to transform even the most Bah Humbug among us into wide-eyed participants in the Holiday Season. Want to know the absolute best places to take the kids and grandkids to see the most decked out balls of holly this year? Readers can flip through this Holiday E-Zine on a smartphone or tablet and begin planning immediately. The light shows and festivities range from Niagara Falls, New York to San Diego, California, and are organized by region — Northeast, Southeast, Midwest, South and West — so you can turn even a staycation into a glittering night out. #52. San Diego’s Garden of Lights, a dazzling winter wonderland with over 100,000 sparkling lights illuminating the Garden for a magical holiday experience. Leading national family travel expert Eileen Ogintz, author of the syndicated column TakingtheKids, and her team of experts researched and wrote the E-Zine. “The hard part was limiting ourselves to only 52 locations around the country. One thing we learned – communities all over the U.S. go all out for the Holidays!” said Cindy Richards, editor of Traveling Mom. 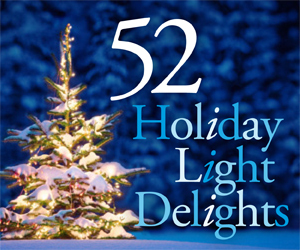 The Holiday Light Delights E-Zine is sponsored by Flight Center USA, and the company’s websites for travel by air (www.FlightCenter.com), land (www.HotCaribbeanDeals.com), and sea (www.DiscountCruises.com) offer the guaranteed best service and lowest prices on flights, Caribbean vacations and Holiday and year-round cruising. With most Holiday exhibits flicking the “on” switch in November and closing in late January, the Holiday Season is a great time to see the sights and the lights. G Adventures, a leading small-group adventure tour operator based in Toronto, Ontario, is hosting an exclusive tour to the Kingdom of Bhutan with award-winning scientist, environmentalist and broadcaster David Suzuki. Departing March 23, 2013, travelers on the 12-day journey will have the unique opportunity to celebrate the spiritual festival of Tsechu, putting them face-to-face with the colorful mask dances and religious art forms of the country. Led by a local CEO (Chief Experience Officer), guests on the Bhutan Festival with David Suzuki adventure will explore Paro, Thimpu and Punakha, learn about Buddhism, visit ancient monasteries and shrines, and stroll through valleys, forests and mountains trails in the pristine and peaceful landscapes of the Himalayan kingdom. Nature lovers, photographers and cultural junkies will uncover a purity of culture, traditions and kindness. Twenty spaces for the limited departure are available for auction with a starting bid of $6,000 CAD per person. Proceeds will benefit Planeterra and the David Suzuki Foundation. Interested travellers may place their bid by emailing their full name, contact info, number of desired seats and their bid to silentauction@gadventures.com. Auction closes midnight EST on November 16, 2012. 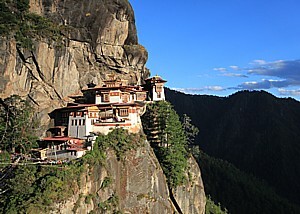 For more information, visit http://www.gadventures.com/bhutanwithdavidsuzuki. G Adventures is an adventure travel pioneer offering the widest selection of affordable small group tours, safaris and expeditions to more than 100 countries on all continents. It is the only adventure travel company to offer 100% guaranteed departures in 2013. Powered by an international team of passionate travelers, the award-winning trips embrace authentic accommodation, exotic cuisine and local transport to put travelers on a first-name basis with the planet’s people, cultures, landscapes and wildlife. The intimate, authentic and sustainable approach to small-group travel introduces travelers to the highlights of a destination while offering the freedom to explore it on their own. Whatever age, interest, ability or budget, G Adventures has a genuine life-changing experience. For more information please visit http://www.gadventures.com. Established in 2003 by adventure travel tour operator G Adventures, Planeterra Foundation is a non‐profit organization that supports social and environmental solutions in destinations around the world via its global network of travllers. The foundation focuses on local education and health, small-business development, emergency relief and conservation work. For more information please visit http://www.planeterra.org. Las Vegas adventure and eco touring company TourGuy.com, LLC is now offering a special one day Death Valley Tours From Las Vegas featuring complimentary hotel pick up and return. The tour features several famous Death Valley locations including the infamous Ghost Town of Rhyolite and panoramic vista known as Hell’s Gate. All guests are picked up at their respective hotels starting at 7:00 am with the tour ending at 5:30 that evening. Guests tour Death Valley in a luxury 4×4 or custom VIP touring class mini coach. The tour includes a full lunch and complimentary snacks. The tour runs Monday’s and Wednesday’s only or by reservation for parties of 4 or more. The tour is being offered at a discounted price of $179 per adult and $159 for children 12 and under. Prices are all inclusive with no extra fees. TourGuy.com, LLC is an adventure and ecotourism company featuring all types of excursions including helicopter, airplane, jeep, bus, horseback, All-Terrain Vehicle (ATV), kayak and raft tours at discounted prices. Tours include Las Vegas, Hoover Dam, Grand Canyon, Death Valley and more. The Jalousie Plantation, on the scenic Eastern Caribbean island of St Lucia, has completed a three year, multi-million dollar transformation and is marking the occasion by renaming the property Sugar Beach, a Viceroy Resort on November 30. The Viceroy Hotel Group, which has managed the Jalousie Plantation since 2008, played a key role in the multi-million dollar upgrading of the property which, apart from its stunning location and timeless French Caribbean charm, bears little resemblance to the original hotel. 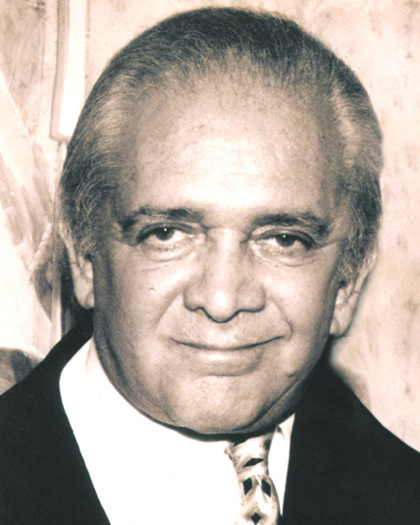 The property will be branded under the Viceroy Hotels and Resorts portfolio. · 9427 square foot Rainforest Spa has opened, featuring a range of international luxury product lines and locally inspired signature treatments, 7 tree house treatment cabanas and a temascal heat experience. · And a beautiful new contemporary design swimming pool completes the project. A new website has been launched (www.viceroyhotelsandresorts.com/sugarbeach) and the resort continues to create packages and special offers that have generated solid interest and sales. Winter season rates start at $640 per night, room only, based on double occupancy and excluding VAT and service charge. According to Jalousie’s owner, Roger Myers, the decision to become a Viceroy Resort is a logical step that will bring enhanced benefits as the property puts the final touches to this expansive renovation project. The resort has already been accepted for membership in the US’s leading consortia while in the United Kingdom, Sugar Beach now features in the brochures of top tier tour operators. Myers’ confidence in this new direction has been echoed by General Manager Andre Boersma, who added: “I am excited that this iconic property has had the attention and investment it deserves and that we are moving into another chapter of its history as Sugar Beach, A Viceroy Resort—in time for the up-coming winter season. Viceroy Hotel Group includes hotels and resorts in Abu Dhabi, Anguilla, Beverly Hills, Maldives, Miami, New York, Palm Springs, Riviera Maya, San Francisco, Santa Monica, Snowmass, St. Lucia and Zihuatanejo with forthcoming openings in Istanbul and Bodrum, Turkey. Historic Lake Quinault Lodge is offering holiday getaways with rates as low as $101.50 a night and celebrations for Christmas. Frequently covered by a blanket of soft snow, Lake Quinault Lodge is the ideal winter retreat for Western Washington, whether for a holiday getaway, or for an escape from the day-to-day grind. For rates and reservations visit www.OlympicNationalParks.com and use the promo code LQFALL13 or call 888-896-3818. To stay up-to-date of all events and activities, like us on Facebook. When: Tuesday Dec. 25, 2-7p.m. What: Christmas dinner served in the Roosevelt Dining Room including the traditional holiday dishes of ham and pecan sweet potatoes as well as local favorites such as bakes salmon and marrionberry cobbler. What: The evening includes dancing, party favors, light appetizers and a champagne toast at midnight. It is a blast from the past – we will be ringing in the New Year in good old 1920s fashion, so dress accordingly. Guest can enjoy a night stay on the package listed here or just come for the party. Lake Quinault Lodge has long been a gathering place for Pacific Northwest vacationers. The lakeside lodge is located in the heart of one of only three temperate rainforests in the world and offers hiking, biking, fishing, boat rentals and tours of the lake and rainforest. Lake Quinault Lodge is also home to the Roosevelt Dining Hall, where Franklin D. Roosevelt dined during a trip that would later result in Olympic being named a national park. Located on the Olympic Peninsula, Olympic National Park is 922,651 acres of preserved coastal, mountain and rainforest terrain. It is the fifth most visited national park in the United States, drawing 3.3 million visitors in 2010 and is located near Seattle, Wash., Vancouver British Columbia, and other Northwestern population centers. Declared a national park in 1938, the region is also a World Heritage Site, International Biosphere Preserve and 95 percent is declared wilderness, a further protection above national park status. ARAMARK Parks and Destinations, a division of ARAMARK, delivers authentic and memorable experiences at national and state parks, national forests, specialty hotels, museums and other tourist destinations throughout the United States. In partnership with its clients, ARAMARK Parks and Destinations seek to enhance the guest experience by offering industry-leading hospitality, environmental stewardship, recreational and interpretive programs. For more information on ARAMARK Parks and Destinations and its properties visit www.aramarkparksanddestinations.com. For up-to-the-minute news and information on this, and other ARAMARK Parks and Destinations locations follow on Twitter @ARAMARKParks. Italiaoutdoors Food and Wine has added a second six-night ski and snowboarding experience to its 2013 line-up of active culinary vacations in the Dolomites region of Northwestern Italy. Trips include accommodations, guided ski tours, meals, daily wine tastings and activities; equipment rental and air are additional. Daily routes include shorter trails and groomed terrain for novice and intermediate athletes as well as off-piste explorations for the advanced skier, allowing groups of mixed interests and abilities to enjoy the region’s offerings. At the end of each day, Chef Bechtel introduces participants to locally produced wines from the regions of Trentino and Alto Adige including Schiava, Lagrein, and Vino Santo. Dinners are enjoyed in charming osterias and more refined ristorantes. Additionally, tours of five days or longer can be customized for groups of four or more. Set at a variety of price points, these private tours includes daily wine tastings and activities tailored to all ski levels, and offer bespoke alternatives for families, groups of friends and ski clubs. For all programs, Italiaoutdoors Food and Wine crafts a custom itinerary providing a balance of activity, rest and relaxation. A maximum of 12 persons per group allows daily itinerary refinement, based on participants’ interests, pacing, and real-time “finds.” In any given tour, novice or intermediate skiers can enjoy daily lessons while expert skiers can enjoy steeper slopes and ungroomed terrain. Other outdoor activities can include snowboarding, cross-country skiing, winter hiking, or snowshoeing. For those interested in non-slope activities, day excursions to Verona, Innsbruck and other cities can be arranged for shopping, museum visits, guided walking tours and other cultural activities. Italiaoutdoors Food and Wine is an owner-operated private guide service, creating and guiding active culinary tours in Northeastern Italy. Unique in their ability to combine active biking, skiing and hiking adventures with world-class culinary programs, Italiaoutdoors customizes vacations for groups of 4 to 12 people. Italiaoutdoors has more than 15 years of recreational programming experience in the region, plus formal culinary and wine training. Programs also include cooking classes, wine tastings, and restaurant dining which explore the best in local regional cuisine and undiscovered wines. Itineraries are rounded out with city visits, shopping, cultural excursions or just relaxing. The owners — experts in fitness, food, and the region — personally lead each tour. For more information or to receive Italiaoutdoors Food and Wine newsletter, recipes and wine information, visit www.italiaoutdoorsfoodandwine.com or Chef Bechtel’s blog at www.chefbikeski.com. 1-978-270-5774. Twitter: @italiaoutdoors Facebook: www.facebook.com/foodandwineitaliaoutdoors. Discounts are available for ski clubs and other groups. The Big Beers, Belgians and Barleywines Festival, held in Vail January 10th–13th, has released the much-anticipated list of attending breweries. This year’s initial line-up from around the world lists 67 representing breweries and four importers, including seventeen first-time attendees, keeping the selections ever-fresh. The festival is unique because attendees get to speak with the actual brewers or top brewery representatives in a very intimate environment during the course of the three day event. Programming for the three day educational and extremely fun Big Beers, Belgians and Barleywines Festival includes returning favorites, and usually sold out/standing-room only programs such as the opening Calibration Dinner, the Traditional Brewmaster’s Dinner, the experimental brewing seminar: “Brewers Gone Wild,” and CraftBeer.com’s Beer & Food Pairing Taste-off. Both dinners are five-course white tablecloth ‘double’ beer pairing dinners with commentary from the brewmasters and chefs. Many more programs are listed on the event website; special guests and seminars will be updated on the event website, http://www.bigbeersfestival.com as details are finalized. Designed to welcome the beer connoisseur, the innovative homebrewer, and the novice taster, participants will find events appropriate for all levels of interest. Throughout the course of the entire festival, breweries from around the world participate, offering literally hundreds of choices of elite brews. For more information, contact Kirsten Texler, Key Link PR, at kirsten@keylinkinc.net and visit the event website at www.bigbeersfest.com.